Would serving an Incredible Hulk cocktail turn your snoozer gathering into a smashing one? Let’s find out. I have been to hundreds of parties. Some were okay. These were the kind of parties that you sort of enjoy but then forget about after a few weeks. Others were abysmal. These parties were either missing a few key elements or were not planned properly. While others were so amazing that the guests didn’t seem to want to leave. These parties were the kind that guests talk about when they are at other gatherings. What do awesome parties have in common? They have to have the right mix of people, delicious food, a lively playlist, some memorable activities, and great cocktails. Nothing loosens up a bunch of adults than serving them delicious shooters and playing some really danceable tunes. When the guests are relaxed, they talk to each other more and they are more amenable to doing crazy activities. But buying different bottles of liquor can become very expensive. If you want to have money for food, you must be smart with what type of cocktail to serve. It should taste great and should be potent. The Incredible Hulk drink fits that bill. What is an Incredible Hulk Drink? The Incredible Hulk cocktail is a mixture of two ingredients. Well, three if you count ice. Yup, you read that right – two! So, if you plan on serving this to your party guests, you wouldn’t be buying a ton of different bottles in order to make your cocktails. You will need a bottle of Hpnotiq and a bottle of cognac. That’s it. 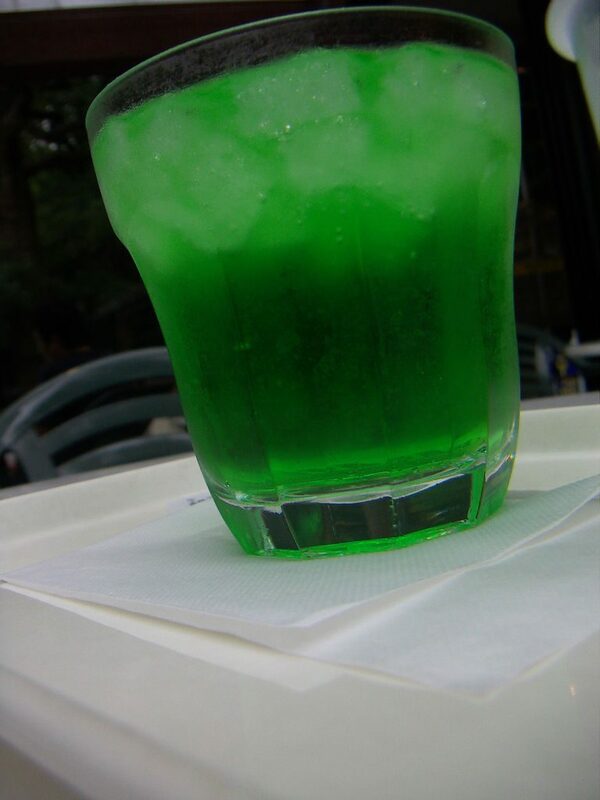 Now, the name of the drink comes from the comic book character created by Marvel, the Hulk. For those who are not familiar with this fictional superhero, the Hulk is a man (Dr. Bruce Banner) who turns into a muscular humanoid with bright green skin when he is subjected to emotional stressors. When he gets angry, Banner becomes a character with amazing strength. The angrier he is, the stronger he gets. That is why the name fits the cocktail drink to a T. It is a green-colored drink that packs a really strong punch. The name may sound manly, but the Incredible Hulk mixed drink is not bitter. 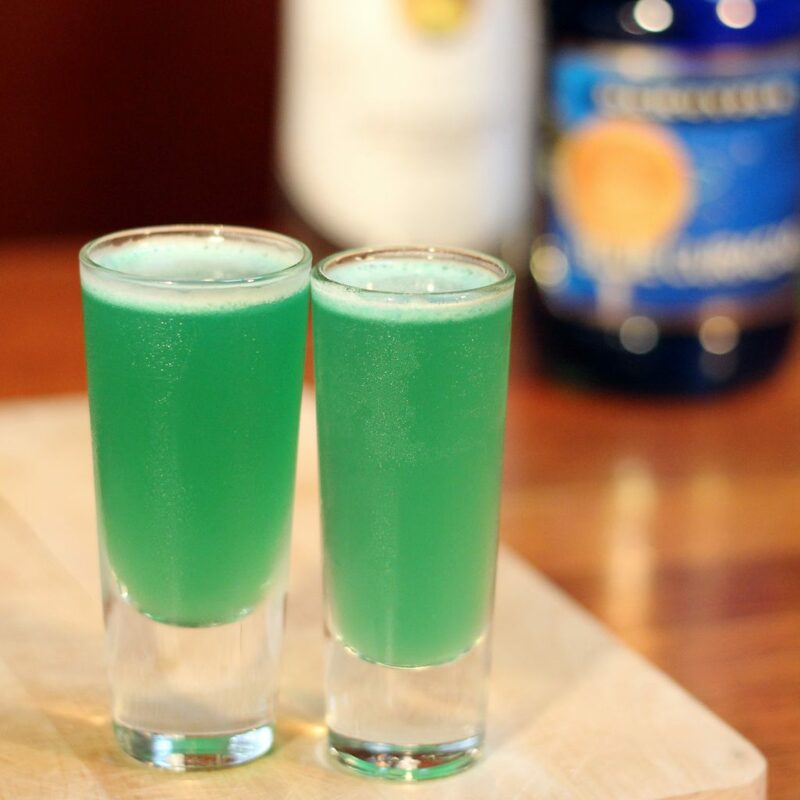 It has tropical fruit flavors from the shot of liqueur that you include. It is the perfect drink to serve during bachelorette parties, St. Patrick’s Day gatherings, or just about any summer party that you are going to have. The alcohol content is enough to keep everybody in a happy, buzzy mood that is perfect to keep a party going. How Did the Incredible Hulk Drink Come to Be? While Wikipedia attributes the creation of this drink to a group of U.S. Army soldiers in 2004, there is really nothing else written online that serves as proof for this. It makes sense for soldiers to think up such a mixture. Who doesn’t want to be like the Hulk while you are fighting enemies? 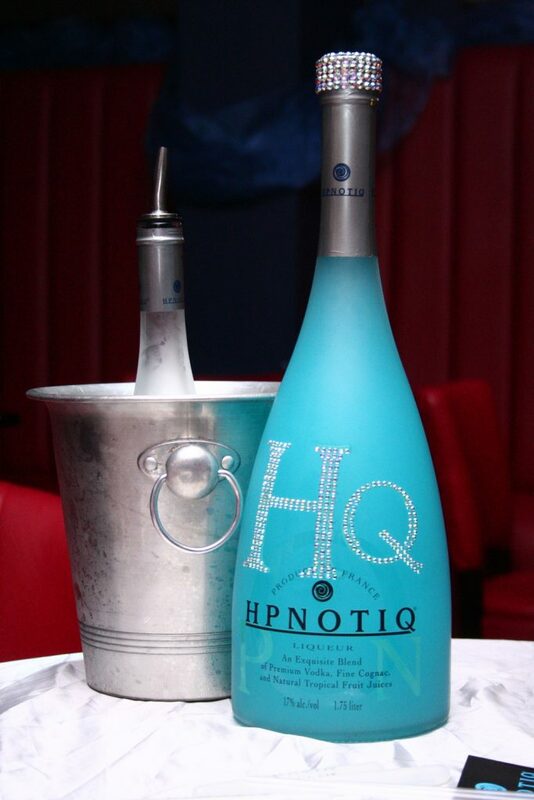 What many consider as the origin story of this fascinating drink is that it was served first at the Hpnotiq launch party at Sean Comb’s restaurant, Justin’s. At the party, Antonio Harer, a spokesperson for Hpnotiq, noticed that while the liqueur was a hit for many of the women guests, the guys were staying away from the light-blue drink because it looked and tasted too “girly”. One bartender, Victor Alvarez, decided to mix some Hennessey to the Hpnotiq liqueur to add some bite to the fruity flavor. The resulting cocktail turned into this green mixture that had a higher alcoholic content. The guys started ordering the Hennessey and hypnotic drink and the Incredible Hulk mixed drink quickly became a hit. Now, if you go to any bar and try to order the Incredible Hulk drink, the bartender would automatically know what to mix. There is really no other recipe for the Incredible Hulk drink other than combining the two alcoholic beverages: Hennessey and Hpnotiq. Hpnotiq is native to the city of New York but it is bottled by Heaven Hill Distilleries which is based in France. It is a liqueur made from fruit juices, cognac, and premium vodka. It has a lovely blue hue and an alcohol content of about 17%. Hpnotiq has a pretty interesting origin story as well. It was created by Raphael Yakoby in 2001. A blue bottle of perfume that he saw in Bloomingdale’s. It was a rough start for this liqueur as it failed to catch the attention of bar patrons. Its big break came Diddy agreed to sell it at his restaurant. From there, the brand caught the attention of a few more artists and was even featured in no less than four songs by Fabolous. The other half of the Incredible Hulk cocktail, Hennessey, is a French cognac that was created by Richard Hennessey, an Irishman. This cognac is actually a grape brandy with a higher ABVs. This has an alcohol content of 40%. It goes through 40 distillations and is aged in French oak barrels. There are different types of Hennessey bottles but its regular V.S. bottle is pretty reasonably priced. If you look at the ingredients, you would realize that you are just combining a little cognac in Hpnotiq and more cognac in the Hennessey. That is why some people find the drink a little bitter going down. Preparing the Incredible Hulk mixed drink is just a matter of pouring 2 ounces each of Hpnotiq and Hennessey into an ice-filled cocktail glass. Stir the two ingredients together to turn it into the green mixture that resembles the color of the Hulk’s skin. If you are looking for something fancier, you can always add lemon slices into the drink to add some zing to it. Using mint leaves, drink umbrellas, or even sparklers as garnish will make this drink an instant hit at your party. The presentation is key anyway. If you want to turn this into Incredible Hulk shots, just pour in ¾ oz each of the cognac and liqueur into the shaker then add crushed ice. Give it a good shake before straining the mixture into a shot glass. Some bartenders opt to serve it unstirred. Just pour Hpnotiq into a shot glass until it is half-filled. Carefully layer the Hennessey on top so you can see the layers of blue and brown. You can have the drinker stir the contents before downing the shot. For this option, you will find that chilling the two bottles makes the drink better. If you want to supercharge this cocktail drink, you can also add an ounce of white rum to the mix. With a 37% minimum alcohol content, your drink with certainly be very, very potent. Be warned, the goal of serving cocktails at a party is to get your guests to loosen up. If they get very drunk, they might turn into “the Hulk” and start smashing things. In the US, if you ask for an Incredible Hulk at the bar, you would get the typical Hennessey and Hpnotiq drink combo. But, in England, it is also the name of a drink that is equal parts lager and WKD Blue. Lager is a bottom-fermented beer because the yeasts that ferment this drink is found at the bottom of the fermentation tank. It has a light, crisp taste and often has high carbonation. It has a mellow and smooth taste. WKD Blue, on the other hand, is an alcopop that is popular among teenagers in the UK and Ireland. It contains 4% ABV and has a mixed fruit flavor. Combining these two makes for a bright-green concoction particularly if you use a light-colored lager. The alcohol content is not very high so you might find yourself filling up with the drink rather than getting tipsy. Another version of this wicked drink gained popularity, or notoriety when it was used in an alcoholic death race in Manchester. This is a drinking contest where the object is to consume alcoholic beverages until the drinker requires medical attention. Their Hulk version was a mixture of 2 shots of vodka, WKD Blue, and Red Bull. The alcoholic content alone per glass is already astounding. 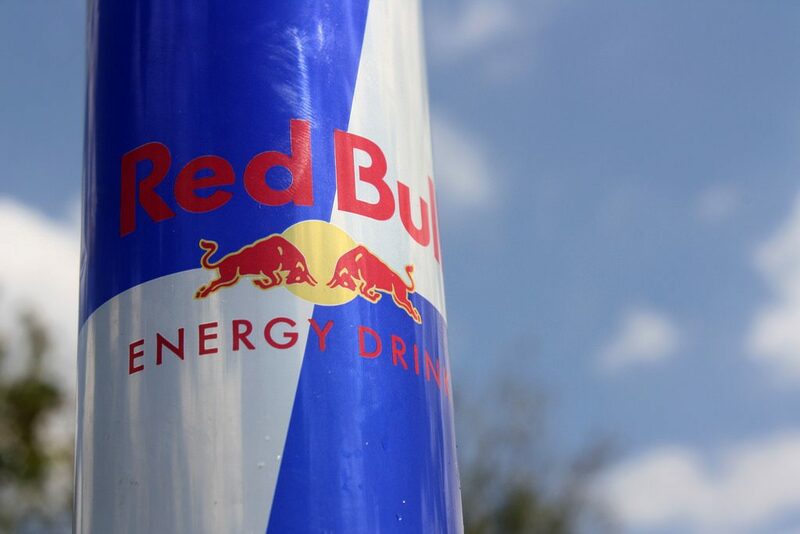 Adding Red Bull to the mix definitely made the drink incredibly potent. There is no known death that resulted from these drinking contests, but we can only imagine the stress that drink puts on one’s cardiovascular system. Serve this drink with the utmost care and tell your guests what the drink contains. This way, if their hearts start pounding, they’ll know that it was from a drink and not because they are having a heart attack. If you search for Incredible Hulk drinks online, you will find a site of an online bartender that features an Avenger-themed drink which he also called the “Incredible Hulk” cocktail. He said that the cocktail is made in honor of Dr. Bruce Banner. The drink combines grape vodka, Blue Curacao, Viniq, vodka, orange juice, and lemon-lime soda. It has two layers: a bright purple and a neon green layer. The purple represents the pants of the Hulk, while the green represents his body. 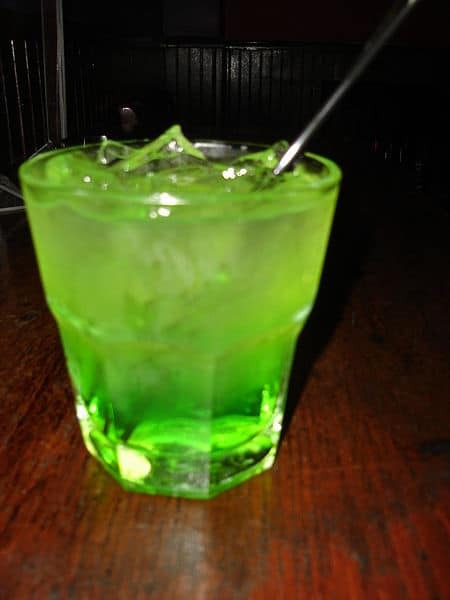 This is a smart-looking drink and any true fan of the Hulk will immediately know that he is the inspiration behind the cocktail. You will need to bring out your blender for mixing this drink. First, combine some ice cubes, Viniq, lemon-lime soda, and grape vodka. Blend the mixture until it turns into slush. Pour the mixture in a tall glass. By the way, if you are wondering what Viniq is, it’s a shimmery liqueur made from fruity flavors, Moscato wine, and premium vodka. It is said to be very sweet but light. Don’t underestimate this liqueur, it has an alcohol content of 20% ABV. Rinse out the blender container so you can prepare the green layer. Pour in the orange juice, Blue Curacao, vodka, and some ice cubes into the container. Blend it until smooth. Carefully pour the green layer so it doesn’t mix with the purple slush underneath. Blue Curacao is a liqueur flavored by the peel of the Lahara fruit. This is a citrus fruit grown in the island of Curacao. Lahara is a bitter orange so expect some bitter notes in this liqueur. The bright blue color is achieved using blue colorants. Now you have a really sweet cocktail that you can serve at an outdoor party or a superhero themed party. While it is sweet, it also packs a punch with all the alcohol that it contains. To make it sweeter, you can rim the glass with sugar before pouring in the alcoholic mixtures. You can even add some fruit garnishes to the drink to make it more festive. Because it is a slushy drink, it will be perfect for summer parties or 4th of July celebrations. You can also bring this out at a bachelorette party, right before the Hulk-like dancers come out. 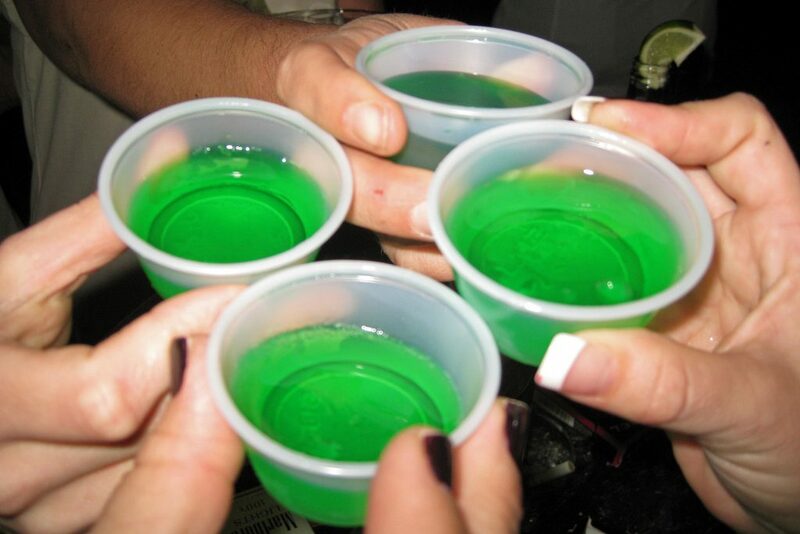 Can the Incredible Hulk Drink Be Turned into Jello Shots? Get a bowl and dissolve the gelatin powder in the boiling water. Add the liqueur and cognac. Stir well. Pour the mixture into your molds and refrigerate for at least two hours. Never put the mixture in the freezer. It will not turn out right. You will just make a slushy mess. Have you ever seen jellos that are melted on the outside but still has a frozen core? That’s what happens when you place them in a freezer. Don’t leave your jello shots out for too long. They will melt. 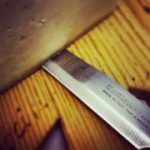 Keep them inside the refrigerator until your guests are ready for them. If the party room is airconditioned, the jello shots can be left out for at least 45 minutes before they start melting. If you are serving these at an outdoor party, make sure that you keep them in a container filled with ice. You can place a metal tray on top of ice cubes and place the shots on its surface. Most jello shots last for only three days. Yes, they can go bad. It is best to make these a day ahead of your gathering. Any longer and the alcohol will already lose its taste. Don’t make too many jello shots because you can’t keep them for long. Maybe allow for up to 2 jello shots per guest. You can serve these in a purple tray and explain that the tray is the Hulk’s pants. Your guests will surely enjoy these tiny yet potent doses of alcohol. How Popular Is the Incredible Hulk Cocktail? Besides being associated with Sean Combs, the Incredible Hulk cocktail has been mentioned in several shows, movies, and rap songs. One notable song that mentions it is its namesake “Incredible Hulk” by Street Free Fam, a Memphis rap group. It also appeared in the said song’s s music video. The drink was also mentioned in “The Story of Thugnificent” episode of The Boondocks. It was even mentioned in Epic Meal Time as a featured cocktail on this popular YouTube cooking show. What is probably its most notable appearance was when General Ross was seen drinking it at a bar in the post-credit scene of “The Incredible Hulk” movie. This drink is a movie star! 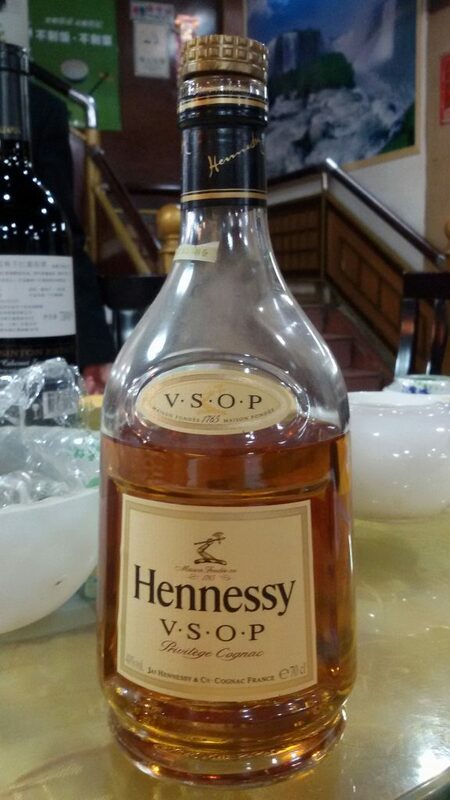 While the original version of this cocktail used Hennessey, you can always substitute other, more affordable premium cognac. De Luze XO Cognac – Fine Champagne manufactures this sweet bottle of cognac that is not only smooth but also pretty affordable. Martell XO Extra Old – This is a cognac that is touted as something feminine because of its fruity, round taste. As you keep it in your mouth, it leaves a spicy, woody note. Camus XO Borderies Cognac – This is very fruity and mellow. It has a hint of cinnamon, dried fruits, and old port. de Fussigny XO Fine Champagne – It may look like perfume when you see the decanter, but this cognac is silky and beautifully balanced. It has tones of hazelnut cream, dried fruits, white flower, toffee, and spiced vanilla. Remy Martin XO Premier Cru Cognac – This recognizable brand has tones of spices, wood, and leather. Martell XO Cordon Bleu – This surprisingly full-bodied cognac has tones of citrus peel, vanilla, roasted cocoa beans, spices, and chestnut. This is a rather masculine choice. 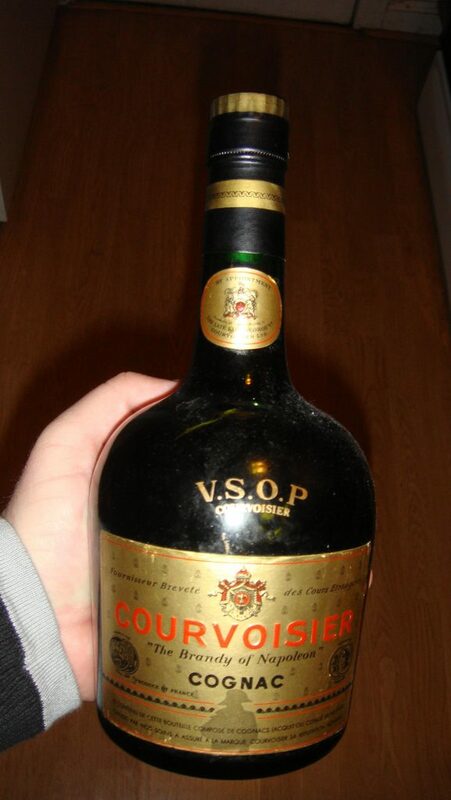 Courvoisier XO Imperial Cognac – This round, smooth cognac has tones of creme brulee, vanilla, and orange. It is popular because it was featured in a music video from Busta Rhymes. You can choose any of mentioned brands of cognac here to go with Hpnotiq to make your own version of the Incredible Hulk shots. You can even try doing the UK version and use lager instead. It will not be as potent as the original version, but it will definitely be much cheaper to serve. If you go on Instagram or any other blogger’s site, you will see bright green mixtures which they claim to be Incredible Hulk mixed drink. In reality, when you mix equal parts of Hpnotiq and Hennessey, you don’t really get a concoction that is that bright green. When we first tried out this mixture, we got something that looks like green tea. It was greenish brown. I tried mixing it in different ways: stirring, shaking, blending. Everything came out that unappealing brownish green thing that my friends called swamp water. 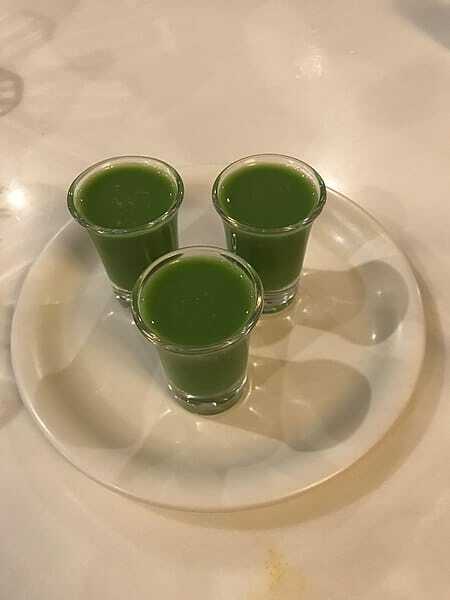 We tried the bartender’s trick of serving it layered but the moment the Incredible Hulk drink ingredients started to mix, the brown-green color appeared. It was only until later that we realized that the bartenders were mixing green food coloring to the drink to make it look bright green. We were able to achieve a more-green-than-brown appearance by changing the ratio. I mixed 3 ounces of Hpnotiq and just an ounce of cognac. The more appealing color came with a price though, it diluted the alcohol taste and it became fruitier. I do not see any guys preferring this drink over a straight shot of cognac. If you are looking for a fun, and relatively cheap, cocktail to serve at your summer party, try mixing the Incredible Hulk drink. It appeals to both men and women because of its green color and bold yet fruity taste. It goes down pretty easily. It is very easy to prepare and can be affordable to serve. The price will depend on the bottle of cognac that you buy for this mix. If you settle for the Hennessey VS, then you are good. Any special edition bottle though would set you back a lot. You can even premix the alcoholic beverages to make for easy serving. 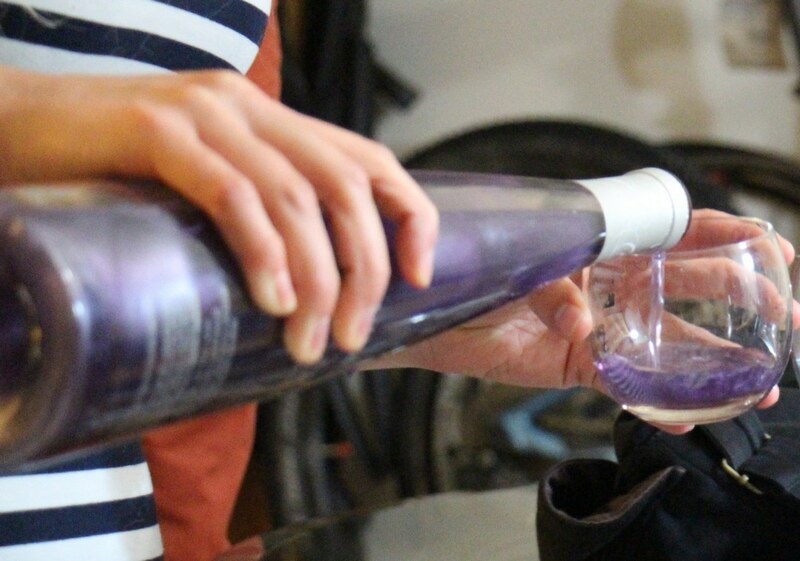 You can put it in a bottle and have your guests serve themselves. Just leave a bucket of ice handy so they can refill their Incredible Hulk drink any time. It will keep your guests loosened up and ready to dance the night away. It will really smash any boring party to smithereens, just likes its superhero namesake.